Music icon Neil Young keeps on "rockin' in the free world" — and superfan Sergio Bratti has travelled the world to see him do it. When Bratti, who lives in Ferrara, Italy, attended concerts Sunday at the Burton Cummings Theatre and Monday at the Centennial Concert Hall, it marked the 83rd and 84th times, respectively, he has seen Young perform. 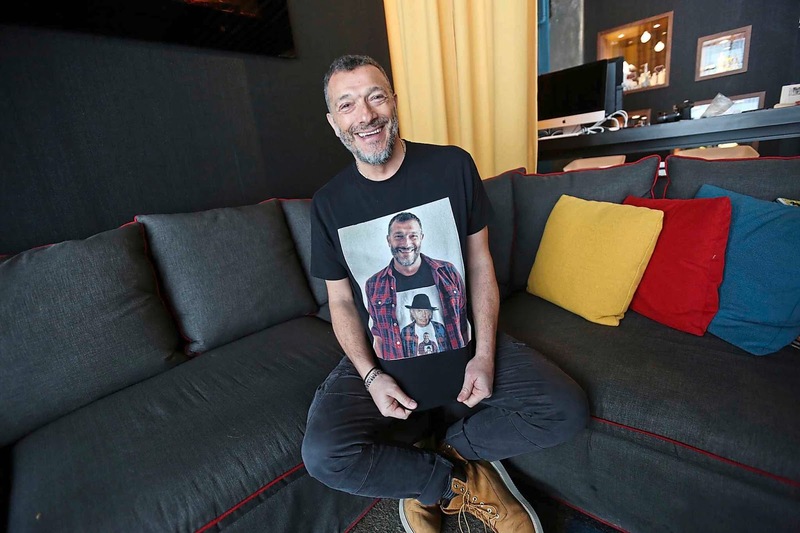 "I saw Neil for the first time in 1982 in Italy in Verona, and it started a love for his music and his soul about his music," Bratti, 54, said in an interview prior to Monday's concert in Winnipeg. "The man and the lyrics and the sound and his voice about his music, for me, it rocks." While following Young has taken him across Europe and the United States, Bratti said the two shows in Winnipeg were his first in Canada — and it was meaningful they were in the city Young spent formative years. "Winnipeg is the place where Neil was growing up, and where it was the start of his music life. I wanted to see this city and this place where Neil lived," said Bratti, who works as a senior retail manager. Full article at From Forever Young: Italian superfan follows music hero into Winnipeg winter | Winnipeg Free Press by Ashley Prest. ciao! Sergio, great meeting with you last summer in Chicago! See you down the road! Grazie for posting this link - I briefly spoke to Signore Sergio Bratti in the merch line following the first show in the Peg. I commented him on his T-shirt and natty hoser attire and he remarked back very modestly something to the effect that he was a big fan. Reading the article now, it is clear his efforts make my 30 Neil shows across Canada and the U.S. pale by comparison. We both got underway at about the same time. My first Neil show was when he brought the Trans tour to Maple Leaf Gardens in T.O. early in 1983. Later that year my girlfriend (now wife) and I took a bus trip from the CNE to go see him with The Shocking Pinks in Cleveland. The life-long relationship was cemented then...and the climax so far came on Sunday night when we were seated up close (thanks due to NYA) and the security guard motioned to her and her new lady friend from Calgary for the 2 of them to come up to front centre stage to dance to the encore - Hey Hey, My My. We hope to add a Neil show in Europe this summer to the mix with perhaps a show in Germany with POTR if the stars and planets align. Sergio, I'll keep an eye out for you there if we make it !